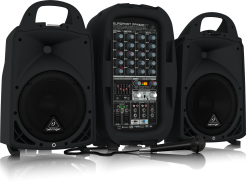 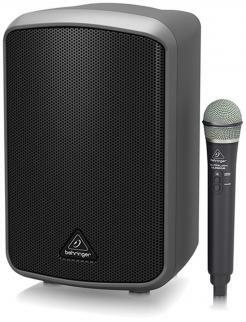 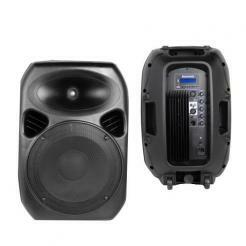 All-in-One Portable 40-Watt PA System with Bluetooth Connectivity, Microphone, Battery Operation and Transport Handle and Roller Wheels Built in. 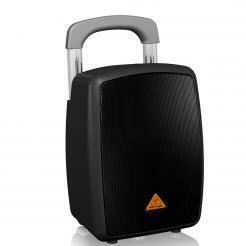 The EUROPORT PPA200 packs amazing sound quality into a compact, portable briefcase-style 200-Watt PA system that is incredibly fast and easy to set up. 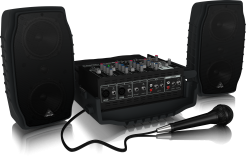 Whether you're using it for a corporate event, seminar or are a working musician, you'll have inputs for 2 microphones, your mp3 player, or up to 5 musical instruments.